These photos bring joy to my heart. What a peaceful paradise they have in your garden. Thanks, we try to keep it peaceful for them. Hopefully you are still getting the little birds to your birdbath? Anyway, we are lucky to live where birds are wild and free. Our European Magpies also start nesting very early, I think they have three broods a year, which accounts for the fact that there are far, far too many of them! 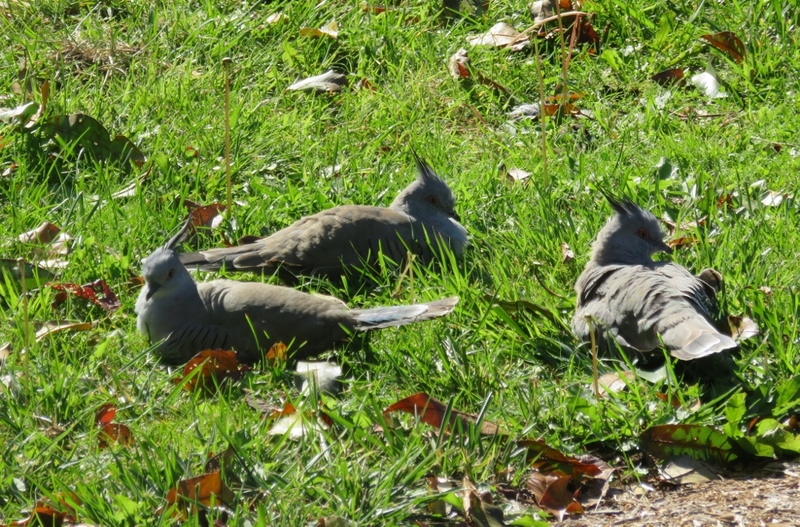 The crested pigeons are the ones here that breed all year long it seems…and, yes, it is not good to have too many of one species. I must look up the European magpie. I had a few LOL moments reading your blog. Love the photographs and captions. 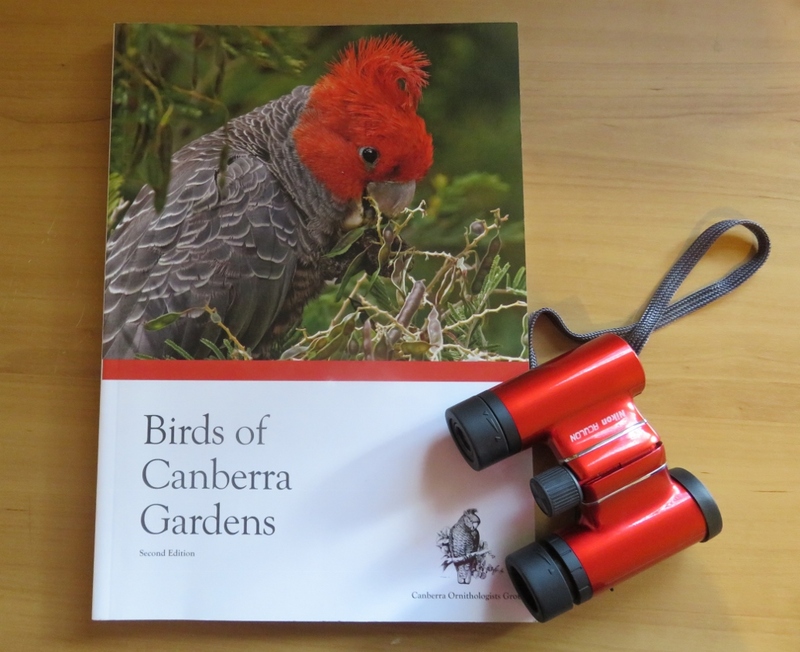 Glad you liked it Sandra, you would know all about Cockatoos and Currawongs….birds are just like people in some ways!! Welcome home! This post is so educational! 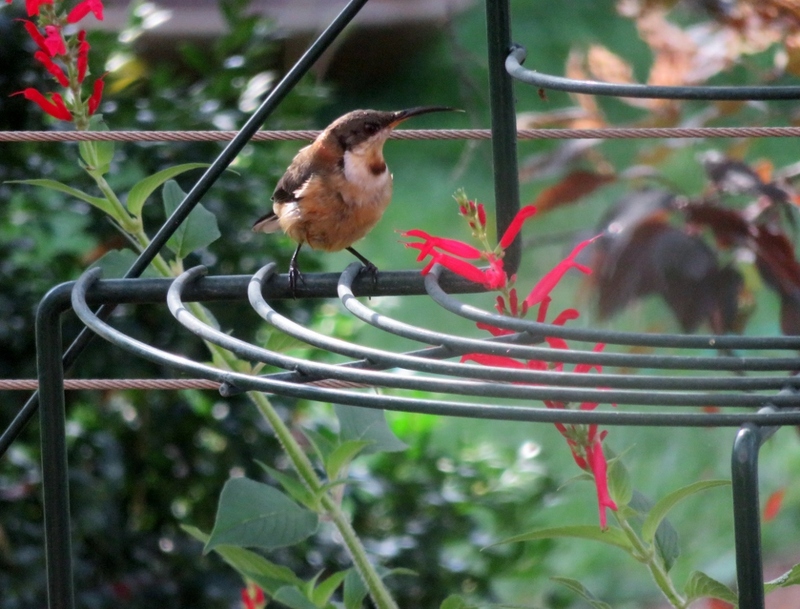 The Spinebill reminds me of our Carolina Wren, precocious and a delight in the gardens. 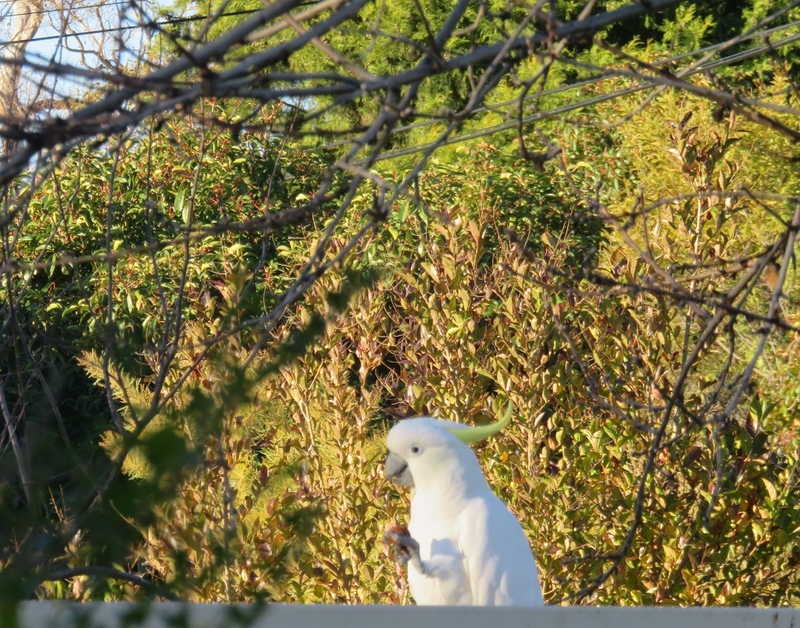 I love to see the cockatoos in the wild, as thinking of these fine creatures in cages breaks my heart, although perhaps they should munch in other’s gardens, yes? Thank you, it is good to be home! Glad you enjoyed the post on birds, and I’ll look up the Carolina Wren. And yes, I would hate to see the Cockatoos in cages too. Your temperatures have just reminded me of the awful heat of summer and humidity is the worst part. 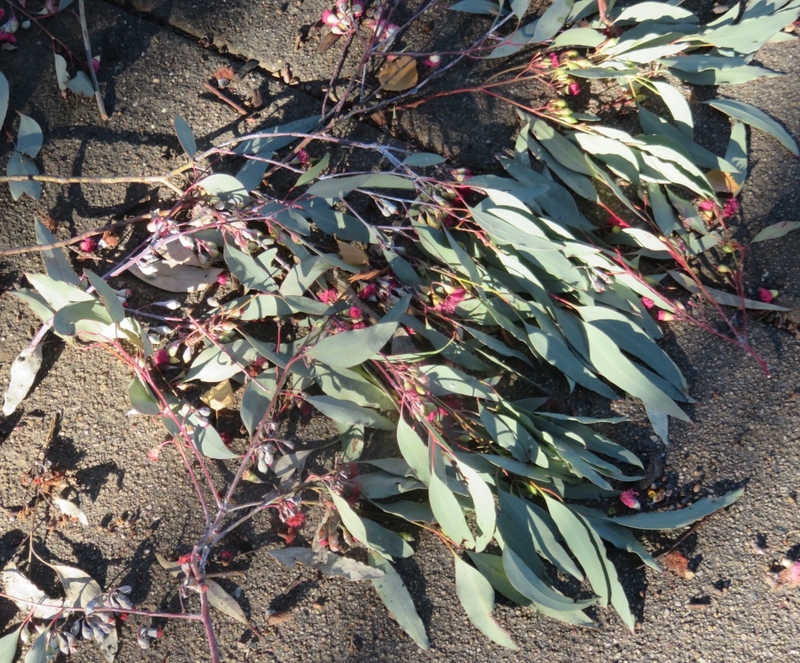 I guess it is too hot to garden until autumn now? Thanks Judy, glad you liked the birds, and they certainly give us plenty of entertainment over winter. (well, all year really). The binoculars look great but the lens (or something) is too small, can’t see a thing out of them, so they are all for show! Hmm. The cockatoos sound like a mixed blessing, but I do love them. Yes, I love them too, they all but talk! 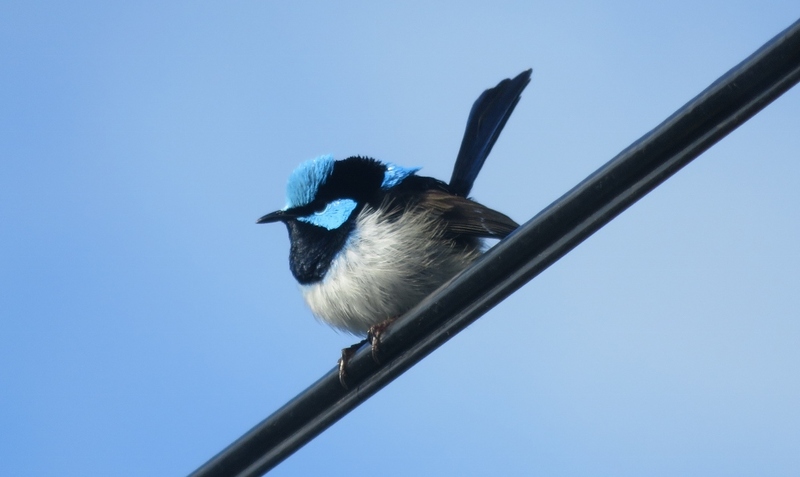 I loved seeing all your birds, especially the Fairy Wren. She has such lovely colours. I have been feeding birds for a while now and have so many visiting my old cherry tree now that I can’t keep up with sunflower seeds. Yes, the birds soon arrive when there are sunflower seeds around! I never get tired of watching birds in the garden, and seeing the Fairy Wren is a real treat. 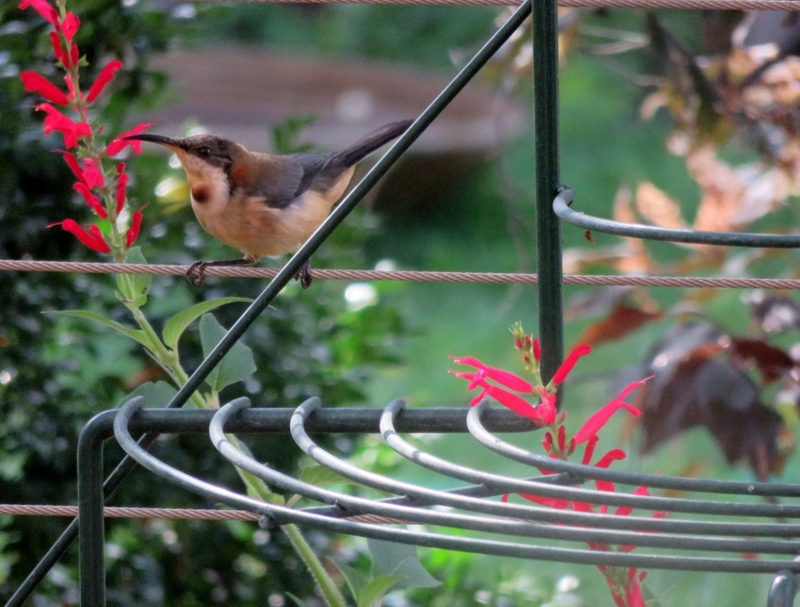 You really have some gorgeous visitors to your garden, Gerrie. Som of them have very interesting hairdos. 🙂 The Fairy Wren is so exquisite. Thanks for sharing your lovely photos. 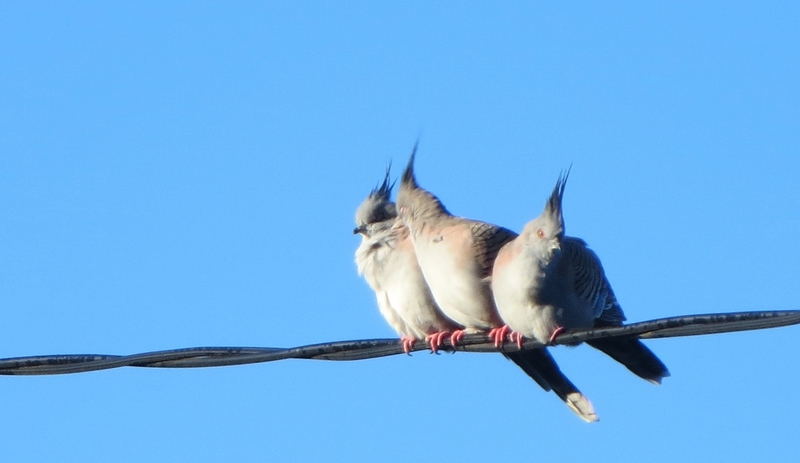 Ha Ha, I agree entirely about the hairdos, some of the Aussie birds specialise in fancy hairdos. GREAT pictures! 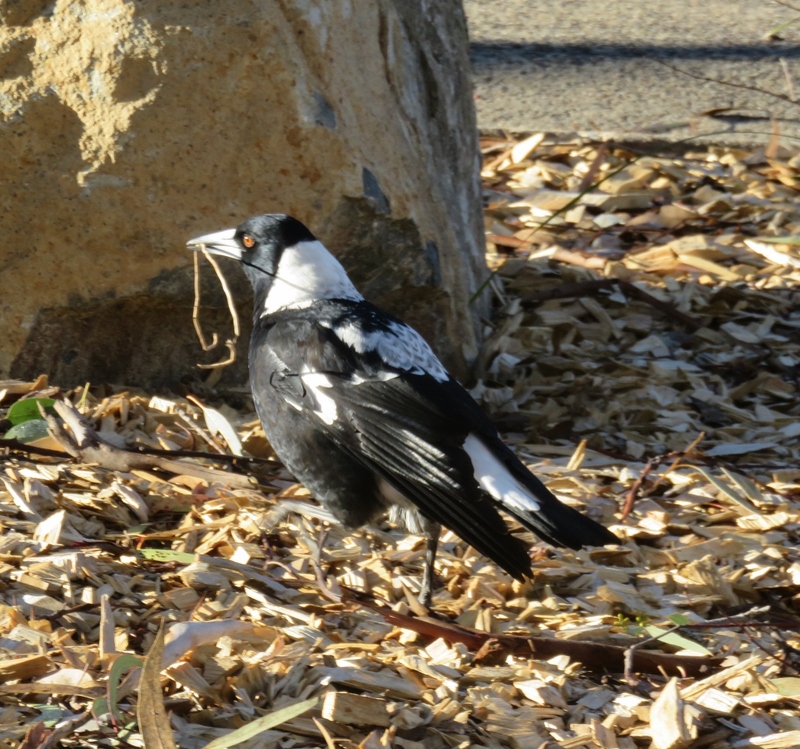 I love the pied currawong, with its light blue patches. 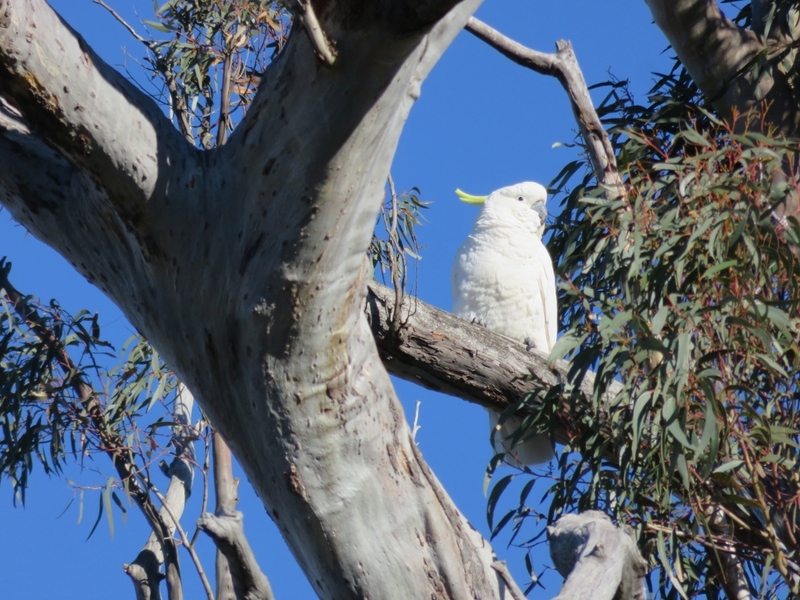 The cockatoos are also wonderful. Hard to think of such birds as common. 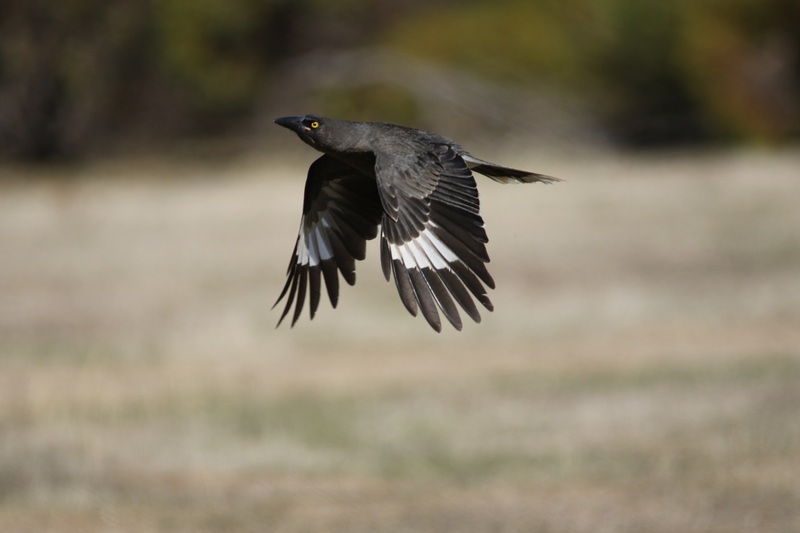 Yes, the pied currawong is amazing to watch…like a fighter pilot in the sky. 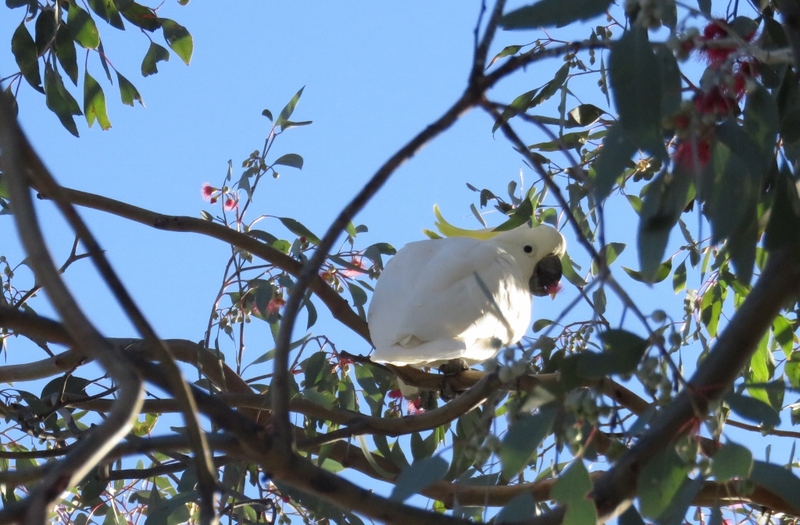 And yes, it is very hard not to love the cockatoo, we are lucky to have them visiting the garden regularly. What a lovely variety of visitors to your garden, Gerrie. Most of these birds I have seen in Tassie but not the spine bill. Thanks for sharing them. 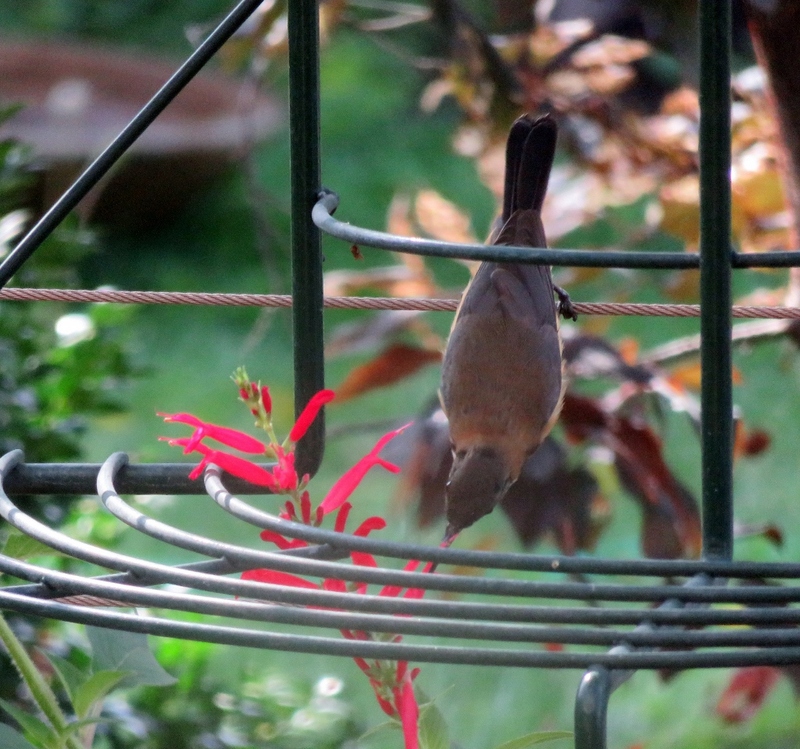 Thanks Ruth … We have more birds this year than ever before … Not quite sure why! What a fabulous array of birds! I enjoyed them all. That little fairy wren is just exquisite! I haven’t come across that bird before. 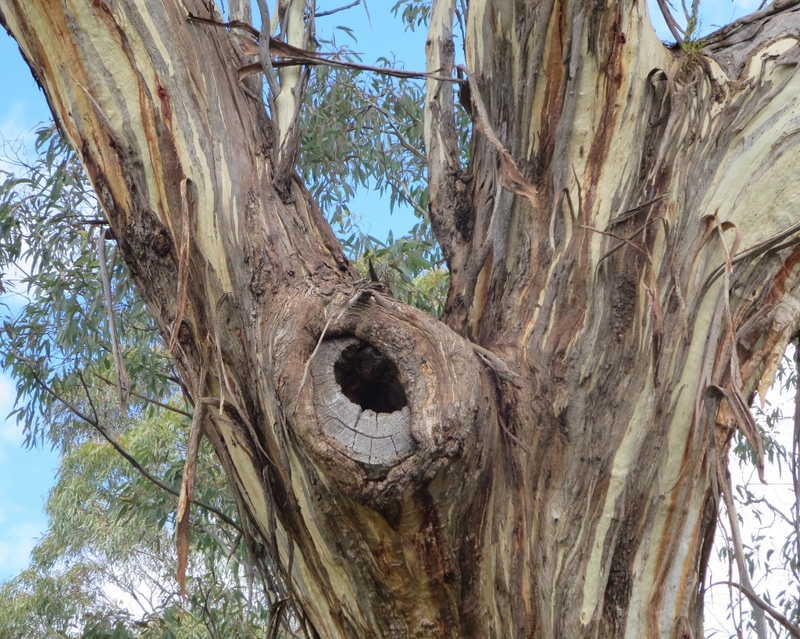 I was hypnotised by the eye of the pied currawong! 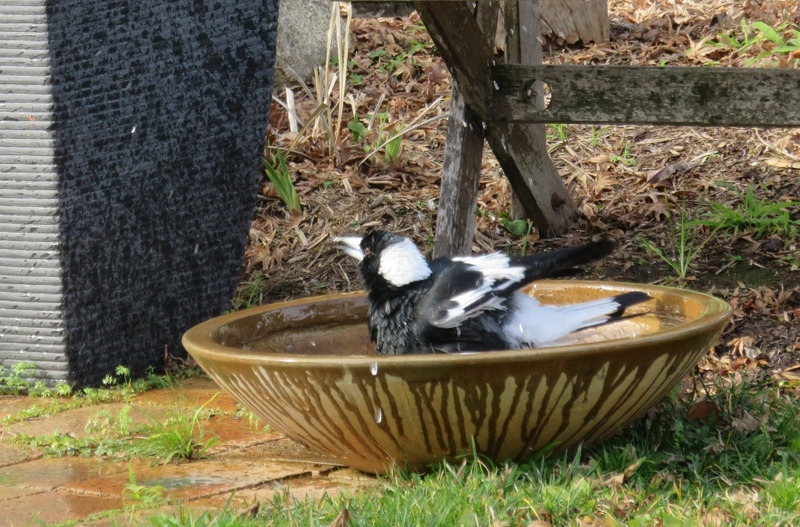 We absolutely love our bird life and consider it a compliment when they all drop in for a visit and a birdbath drink. 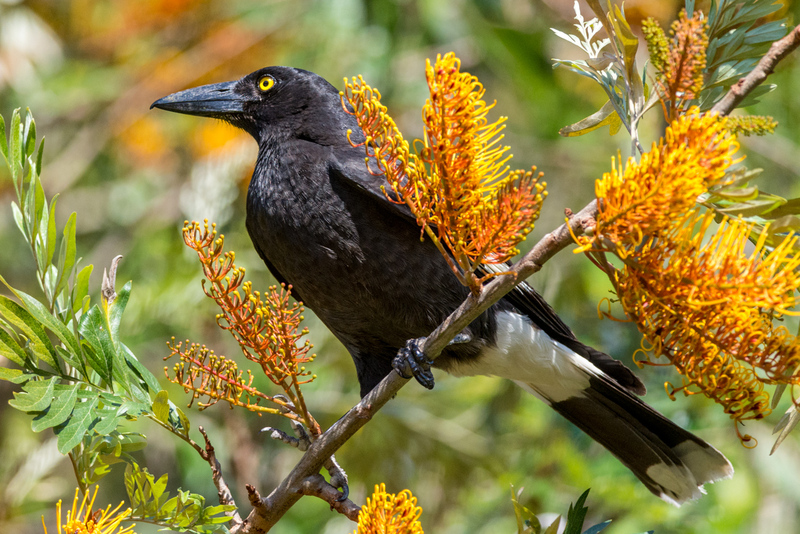 the currawong, like the fiscal shrike – terrorising the little birds. There was a very noisy bird in Cape Town when we were there a few years ago, Hadedas….I thought people were very tolerant as they seemed to do a lot of screeching as they settle down at night.